Shankar Jaikishan are probably the most versatile music â€“duos that hailed the music of Bollywood during the Golden Age of Indian Cinema, the 40s, 50s and 60s. The golden era of Indian film music can be associated with the musical giants of different capabilities and specialisations. The Legends include Roshan- the king of melody, Madanmohan- the shahenzah of ghazals, Naushad- the Genius of Hindustani classical ragas with a blend of Lucknow Gharana, Salil Chowdhury â€“the Master of Westernised chorus with Eastern folk and poetic excellence, O. P. Nayyar â€“ the Master of Westernised Tunes with Eastern flavour, Jaidev â€“ the Legend of Urbanised Folk and Rural tunes, and many other Classical composers who have become immortal with their everlasting tunes. 1 Shankar Jaikishan emerged in that arena with a range of tunes and compositions which could not be categorised under a single head. There were folk songs like â€œchalat Musafirâ€ sung by Manna dey in â€œTeesri Kasamâ€( 1966) to ghazals like â€œChalke Teri Aankhose sharab aur ziadaâ€ sung by Mohammad Rafi in â€œAarzooâ€(1965). There were rock and roll compositions like â€œaajkal tere mere pyarke charche har zabanparâ€ in Brahmchari(1967) to pure classical composition like â€œSur na saje kya gayun maiâ€ in â€œBasant Baharâ€(1957). They had composed music in almost 200 films in a tenure of around 22 years.2 So great was the impact of their creative genius that it had a lasting impact on the music of the Hindi films. Shankar-Jaikishan understood the taste of the masses, were able to cater to them, as well as moulded their tastes. No wonder then that during their tenure as music directors, they were exceedingly popular and 75 per cent of the films for which their scores were everlasting hits – many have celebrated silver jubilees. They were probably the only musical pair, who have given music to all the leading giants who had glorified the silver screen during the 1940, 1950s, and 1960s. They have given music to Dilip Kumar in Yahudi, 1958, Rajender Kumar in Suraj, 1966, Bharat Bhushan in Basant Bahar, 1957, Balraj Sahani in Seema, 1956, Pradeep Kumar in Raat Aur Din, 1966, Dev Anand in Asli Nakli, 1961, Manoj Kumar in Hariyali Aur Raasta, 1962, Shammi Kapoor in Professor, 1962, Shashi Kapoor in Kanyadan, 1969, Biswajeet in April Fool,1964, Joy Mukherjee in Love in Tokyo, 1965, Dharmender in Pyar hi Pyar, 1968, Jeetender in Mere Huzur, 1967, RajKumar in Lal Patthar, 1971. They were honored with the maximum number (nine) of Filmfare awards in the Indian film industry. In 1968, Shankar Jaikishan released an album, “Raga Jazz Style : Shankar Jaikishan with Rais Khan.” Shankar Jaikishan made a great impact on film music from the start. Their tunes range from pure classical Indian themes to more westernised tunes. They had a distinct style, which was adaptable to different stars and films. In the West, they are best known for the song “Jaan Pechan Ho“, which originally appeared in the 1965 film Gumnaam. The musical number was replayed in the American film Ghost World and helped to catapult the popularity of Indian film music in America. However, according to Raj Kapoor, the pair’s most notable score came in the film “Mera Naam Joker” in 1970 which has landmark songs like “Jaane kahan gaye woh din“, “Jeena yahan marna yahan“, and “Ae bhai zara dekh ke chalo“. Arguably, the background musical scores of “Sangam” and “Mera Naam Joker” are considered to be among the best ever in the history of Hindi film music. Of the two, Shankar’s speciality was dance-based compositions, whereas Jaikishan’s forte was the background musical score. Both of them preferred Raaga Bhairavi over other strains of classical music. One of the other shades of the character of the Legendary duo was that they had encouraged a number of singers both male and female, at an era when the other Music Directors preferred only Rafi and Lata. They have composed songs for Subir Sen, â€œ Dil mera ek aas ka panchiâ€ in the film Aas ka panchi,1960, Suman Kalyanpur , â€œDil ek mandir hai,â€ in the film Dil Ek Mandir,1963, Manna Dey, â€œYeh Raat Bheegi Bheegiâ€ in the film Chori Chori,1956, Asha Bhosle, â€œMur Murke na dekh Mur Mur keâ€ in the film Shri 420,1955, Sharda, â€œTitli Uriâ€ in the film Suraj,1966, Mukesh, â€œYeh mera diwanapan haiâ€ in the film Yahudi,1958, Talat Mehmood, â€œKoi nahi mera is duniya maiâ€ in the film Daag, 1955, Kishore Kumar, â€œZindagi ek safar hai suhanaâ€ in the film Andaz, 1971. The songs were complimented with brilliant orchestration which had added lights to the composition of the giant. One of the reasons why Shankar Jaikishan did not get the acknowledgment of providing immortal tunes in that era is because it could not be identified as which song is composed by Shankar and which song is composed by Jaikishan. Otherwise Naushad was awarded with Dada Saheb Phalke for his brilliant contribution to Indian music, Majrooh Sultanpuri also received the same award in the lyricist category, Shankar- Jaikishan was deprived of that honour. The other reason may be that they had worked with Raj Kapoor for the longest period and most of the credit of the unforgettable tunes were taken away by Raj Kapoor himself. An archive should be created for the rich and classical creations of Shankar Jaikishan where the works can be preserved for future generations to take inspiration from. 2 Dattaram, their Assistant also made immortal tunes like â€œAnsu Bhari Haiâ€ in the film â€œParvarishâ€, 1959, starring Raj Kapoor. 3 My father Chitta Ranjan Chatterji, Ex chief Public Prosecutor, Bankshall Court,( CMM Court), Kolkata had solved a case relating to Music Rackett in HMV in the early 1980s. The Zonal manager of HMV, Mr. SriDaure gave him a present of HMV discs of film â€œdiwana-composed by Shankar Jaikishanâ€ and Disc of â€œ Pakiza- composed by Ghulam mohammadâ€. Mr. Sri Daure was involved with numerous immortal recordings of HMV and he mentioned that there was a song in Diwana, titled â€œ tumhare bhi jai jai, humare bhi jai jai, na tum hare, na hum hareâ€. The song was picturised with Raj kapoor staying in the railway station and Saira Banu travelling in a train. The song beat that was composed by Shankar-Jaikishan synchronised the actual sound of the movement of the train. It was only possible from Shankar-Jaikishan.It was reported in AnandaBazar Patrika, the Bengali Newspaper under the column of Ashis Ghosh. 4 Noted Music Director Anu Malik says that Raj Kapoor had dug a well full of everlasting music and Shankar Jaikishan drew water out of it. This entry was posted on Wednesday, August 8th, 2007 at 12:07 pm	and is filed under Meri Awaaz Suno. You can follow any responses to this entry through the RSS 2.0 feed. You can leave a response, or trackback from your own site. Wonderful blog. Background music is sonorous. One way of identifying which one of them composed a particular song is to look at the lyricist. 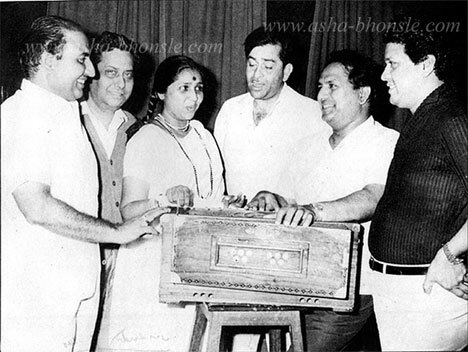 Jaikishan mostly worked with Hasrat Jaipuri, and Shankar with Shailendra. For example ‘Ae phoolon ki rani’, ‘Yeh mera prem patra padhkar’ etc are typical Jaikishan creations. Sir indrajit mistry as you said that your relative of jaikishan please tell us more about this great man,not you are his fan only but we all feel that they are the all time best(SJ)we also want to know what jaikishan said about our Mohd Rafi and other singers. Arijit Mukherji’s contact no. is 9811284796.
i am ardent fan of shankar jaikishan. and also a relative of jaikishan . please note that you have mentioned that jaikishan hails from panchal. this is totally incorrect. ianchal is his family name ( or surname ) he was borned in ahva dang, near surat. then moved to balsar and later settled down in mumbai ( bombay ). pl make a correction in this regard. 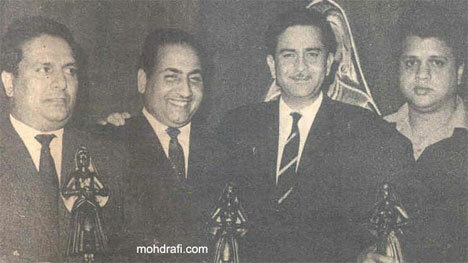 I WOULD REQUEST ALL SJ+RAFI LOVERS TO VISIT http://shankarjaikishan.peperonity.com WHERE i have copied and posted the write up by Mr. chatterjee mentioning his name…..
Also i would like you all to visit http://www.filmare.com where you will find Shankar Jaikishan Net Fan Club and post your voice. Mr. Pritam Chatterjee.I am Probal Chatterjee.I Know the address of Mr. Premangshu Chatterjee.Address is 16/B/9 Satish Chandra Ghosh Lane Serampore Hooghly Pin 712202.mob no:9831705977.